Hey dude, we get it. When it comes to your home’s design, décor and look, your wife makes all the decisions. And if your wife is like most wives, then things have potentially gotten a little “feminine” around the house. Sure, she did a great job! Even the neighbors will admit that the house looks amazing… But, you can’t help feeling that your home is lacking something – that it’s lacking a place where you can be you. Sure, maybe you head out to the garage and do God-knows-what out there… But that’s not scratching the itch. You know there’s only one solution for that feeling you’ve got, right? 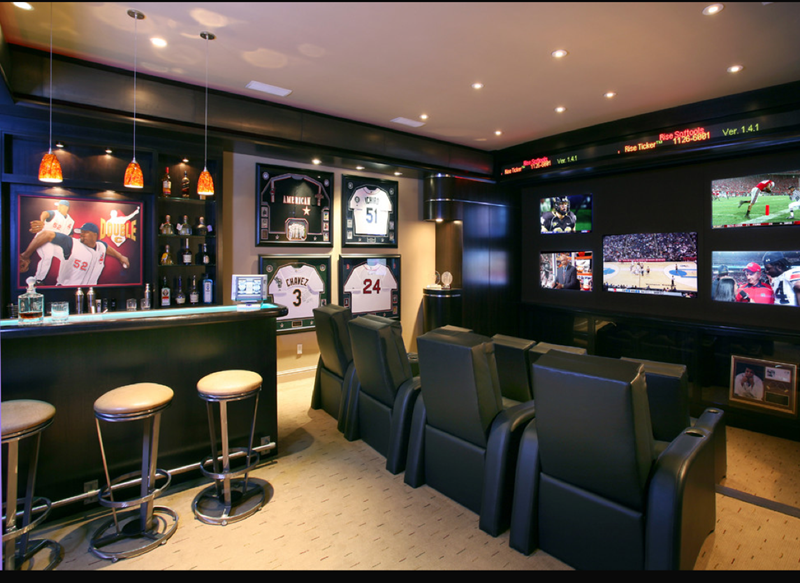 You need a man cave! 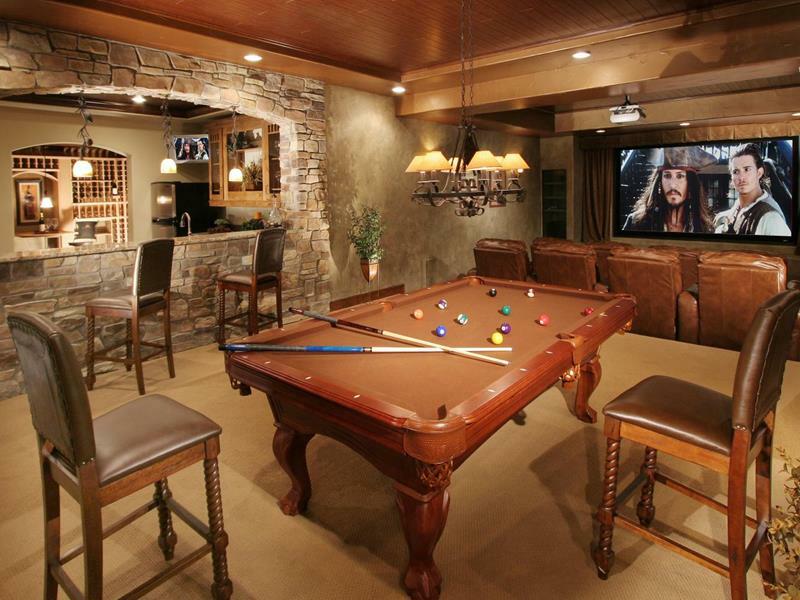 But, you need a man place, and you need a man cave. So take a look at these awesome examples, and good luck creating one of your own! A wall full of televisions, comfortable seating, and a bar behind it all. 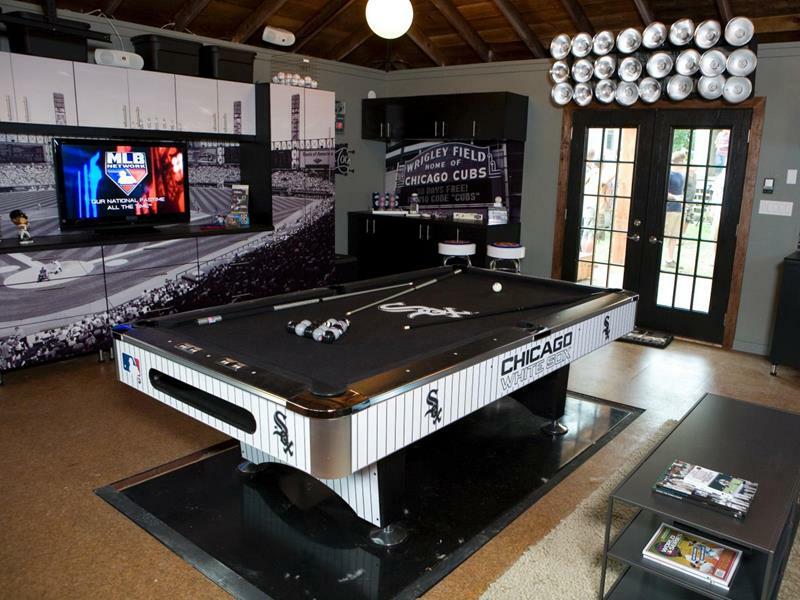 What more could you want from a man cave? 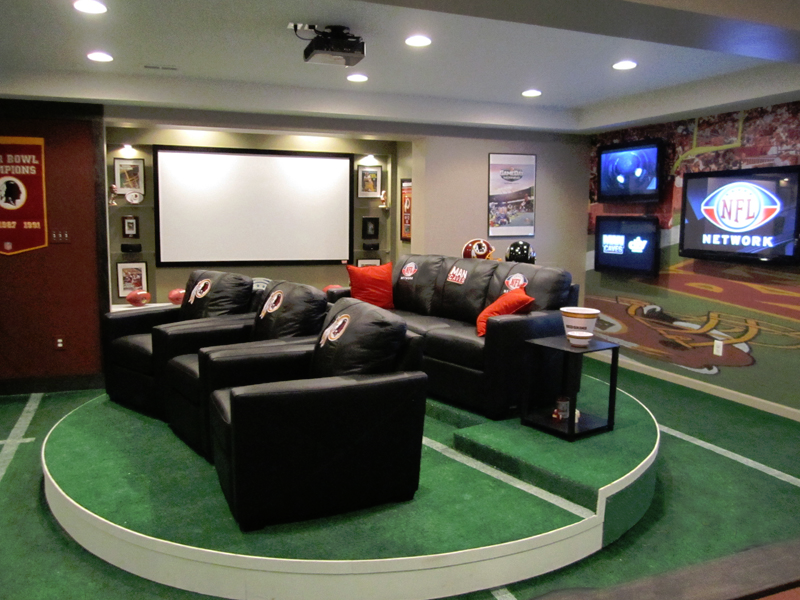 For this man cave, the designer arranged the seats on a swiveling platform, allowing everyone to turn from one game to the next. 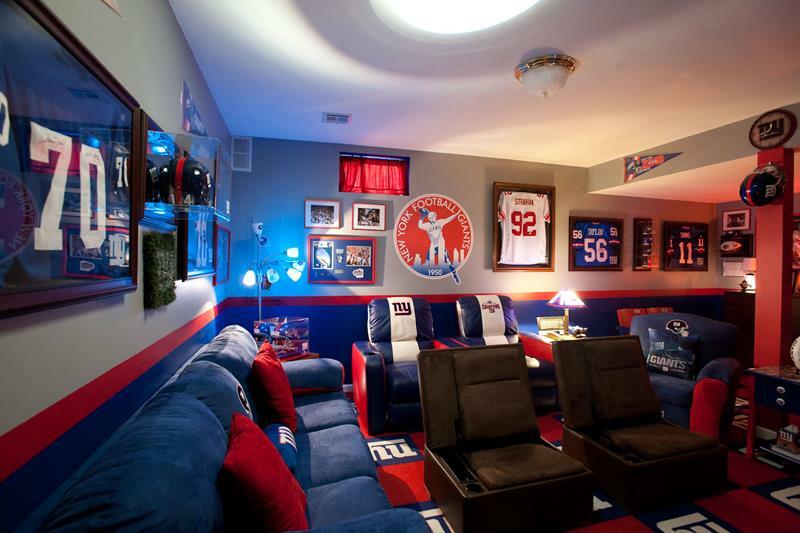 If your man cave is going to be a place for watching the local teams, then you’d better make it a testament to hometown pride. If you want to jam, then there’s a music area in the foreground. In the background, there’s a bar and poker table. When you’re making a man cave, picking a color scheme can be easy! Just use the colors of your favorite team!